Why are so many teachers leaving child care? Teachers play a critical role in shaping the lives of future generations. Teachers play a critical role in shaping the lives of our future generations, so why are they leaving the child care industry in record numbers? The answer might lie with the increasing responsibilities, distractions and extra challenges that can detract from their greatest passion – teaching and caring for children. Changes to childcare regulations such as the introduction of the new Child Care Package and Child Care Subsidy could also add to the workload, administration, and management of the early learning profession. A 2016 survey revealed as many as one in five child care educators plan to leave the profession within the next 12 months. The study, authored by Queensland University’s Susan Irvine, Jo Lunn, and Karen Thorpe, and Jennifer Sumsion of Charles Sturt University, surveyed 1200 early childhood educators and degree qualified teachers working in long day care centres and preschools across Australia. The most common reasons cited for wanting to leave the early learning profession were low pay, feeling undervalued and spending too much time on paperwork. Those educators who engaged in more advanced training and upgraded childcare qualifications such as an early childhood teaching degree were most likely to leave. The survey also found young people who entered the early learning profession because they ‘liked the idea of working with children’ were also quitting, because the reality didn’t match their expectations. Some teachers are leaving the industry before they even begin. According to Australian Government research 20 per cent of education graduates never register as teachers and almost half of all new teachers leave the profession within the first five years. 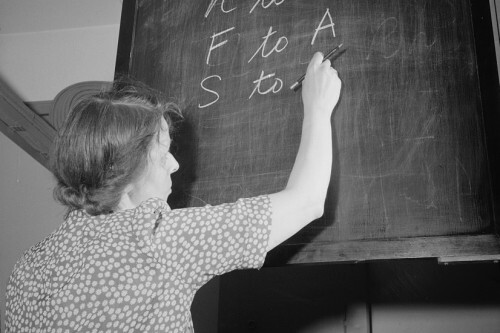 Some experts fear Australia could experience a shortage of teachers if these trends continue. Teacher shortages are already occurring in rural and regional areas, and the problem could worsen with student numbers predicted to rise 26 per cent by 2022. Australian Catholic University Associate Professor Philip Riley is leading research into teacher attrition, and told ABC News the industry needs closer monitoring and greater investment to understand and combat the issues forcing educators to leave the workforce. According to the data available, most teachers are leaving because they feel burnt out, unsupported, frustrated, or disillusioned. Some cannot secure permanent full-time employment, and leave for a career with less demands, greater security and higher pay. The challenges faced by teachers and child care educators are well documented. Many educators face added stress and anxiety from shiftwork and irregular routines, higher than average sick leave due to greater exposure to illnesses, impact on family and children, pay often being below that of other similar level qualifications, and afterhours and unpaid paperwork. Child behaviour and personal safety are also arising as reasons for leaving the profession. So, why do they do it? And what can be done to remove some of these challenges? University of Melbourne lecturer Ahmet Latifoglu told Sydney Morning Herald that having adequate support and guidance is crucial for the retention of teachers, including extensive induction programs and ongoing mentoring from qualified and committed colleagues. On a federal level, The Conversation reported in 2016 that only the Labor Party had specifically addressed the Early Childhood Education and Care workforce in their election policy. Labor claimed it would focus on working to “address the gender pay equity gap for early childhood educators” and “valuing the professionalism of early childhood educators”, committing to developing a new national workforce strategy with a strong focus on valuing the work of educators and supporting their professional development. “We need a shared plan and collective effort to grow the workforce to provide these services. This has to be a policy priority and the solution needs to include professional wages for professional work” – The Conversation, 2016. Also crucial to providing greater balance in the workplace is for child care centres to take advantage of task automation and digital child care management software for the new Child Care System. Child care management software such as Xplor provides a comprehensive education platform for educators, going beyond the standard regulatory features to also provide classroom programming and planning, photo and video storage and sharing capabilities, real-time communication with families, digital rostering, health records, incident reporting and more, all at the touch of a button. Why are so many teachers leaving ChildCare?